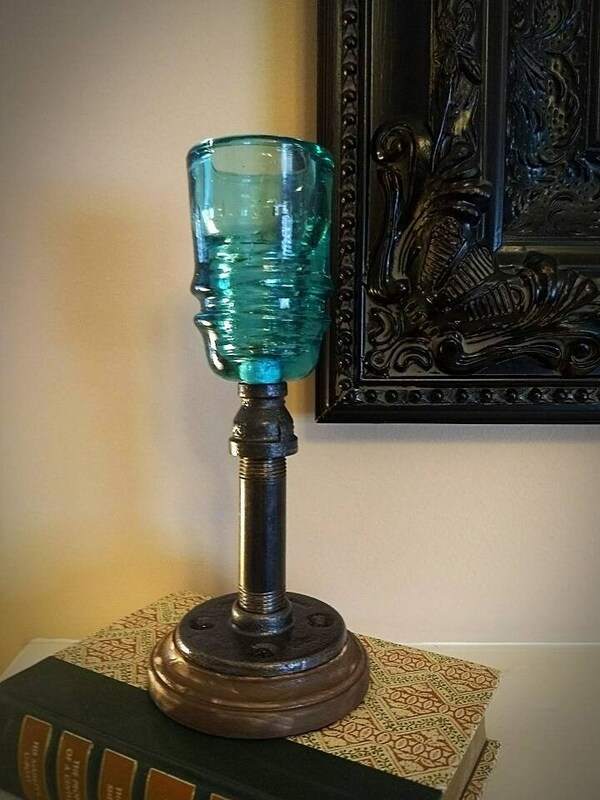 Candle Holder features a solid wood base, black iron pipe and vintage Railroad Insulator giving it a beautiful rustic industrial look. 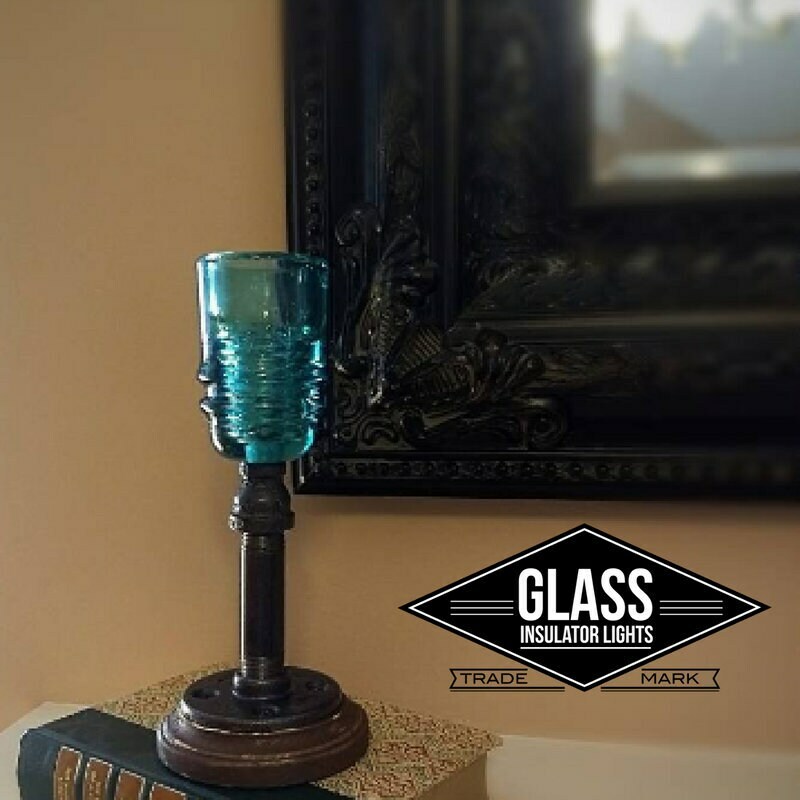 Base: Felt covered base protects against scratches. 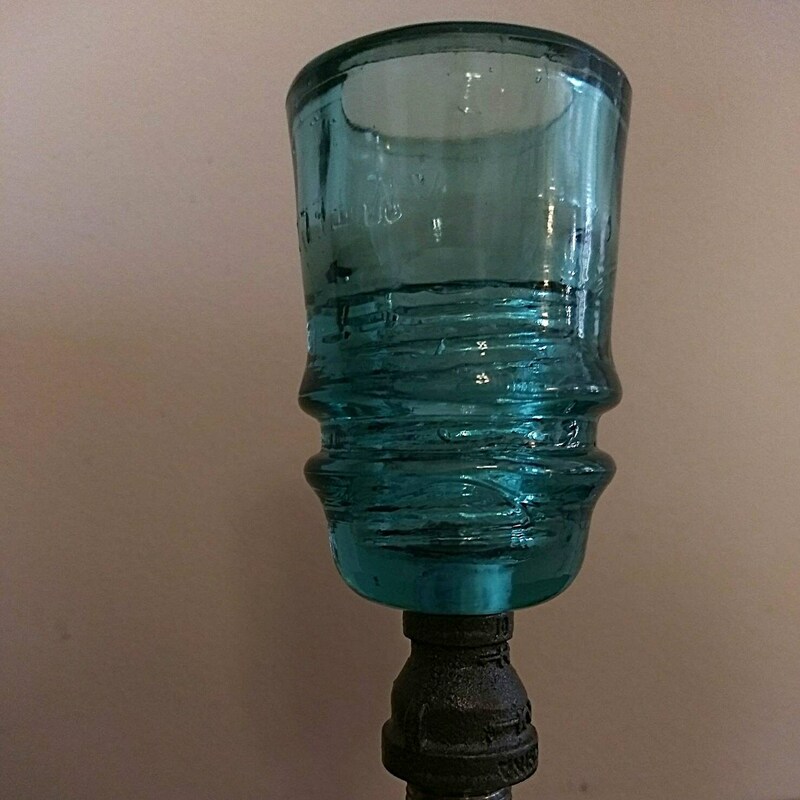 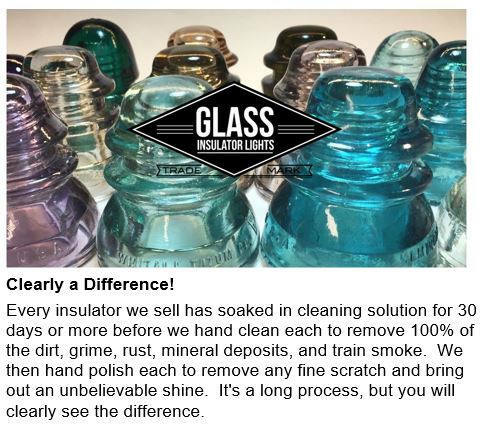 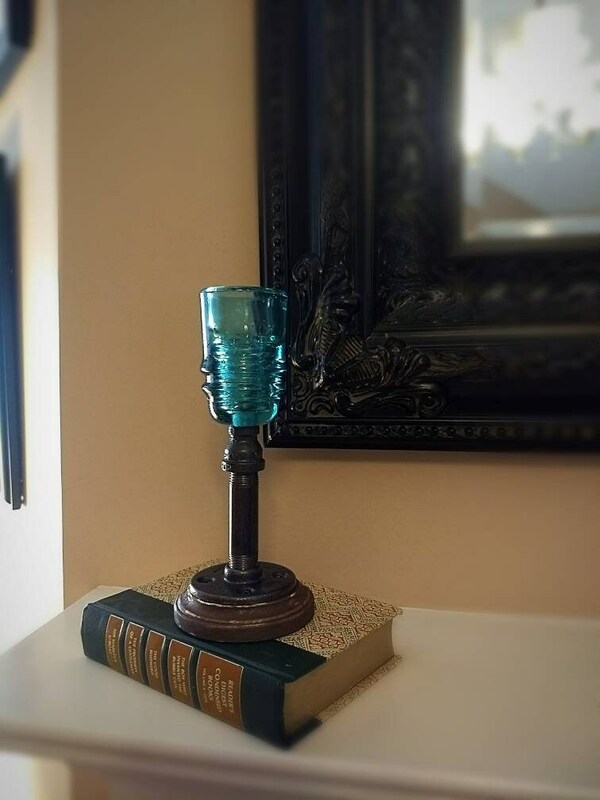 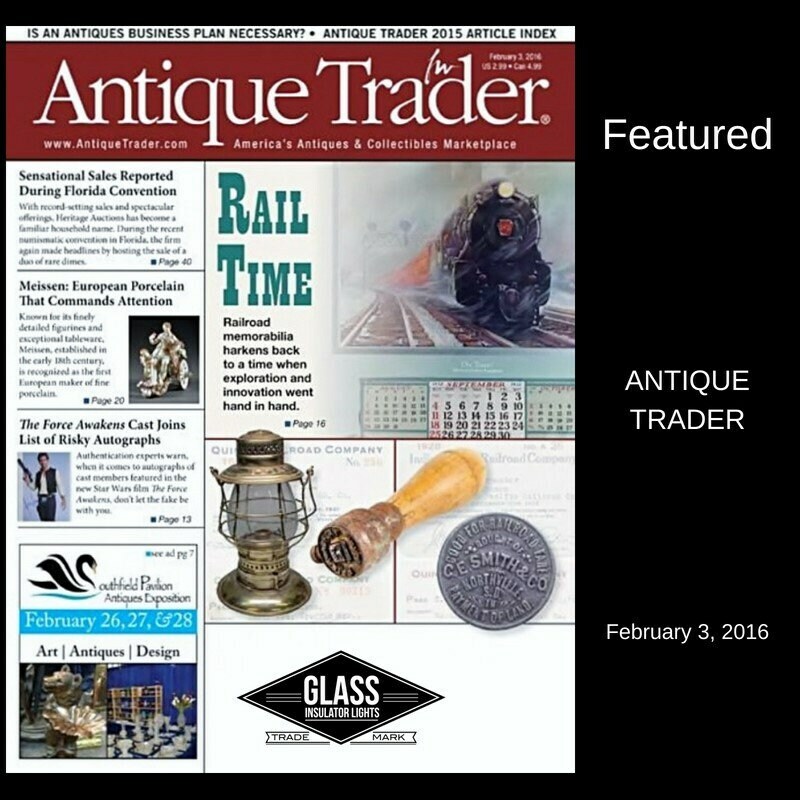 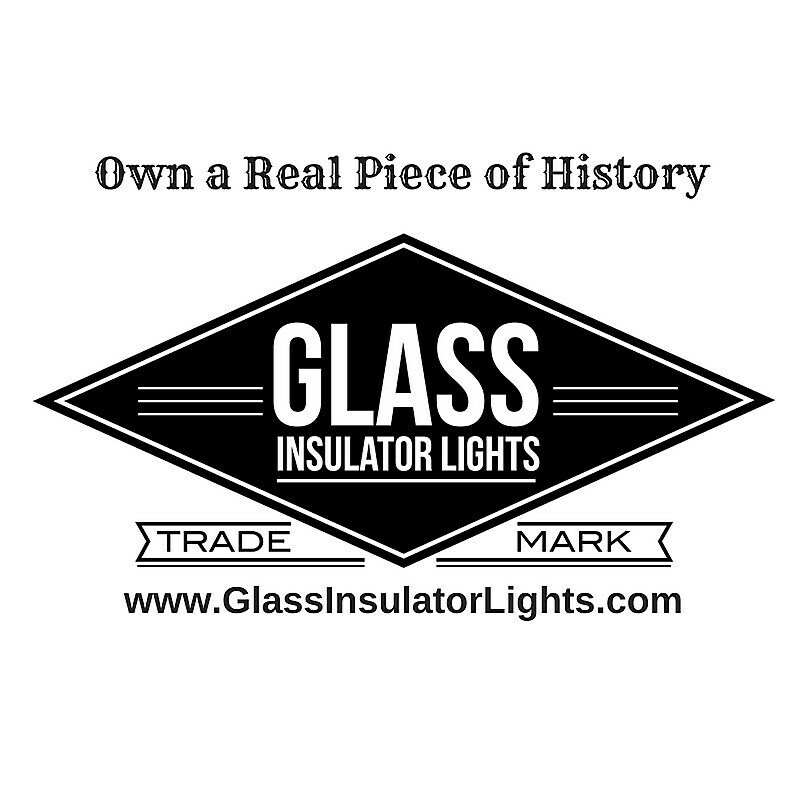 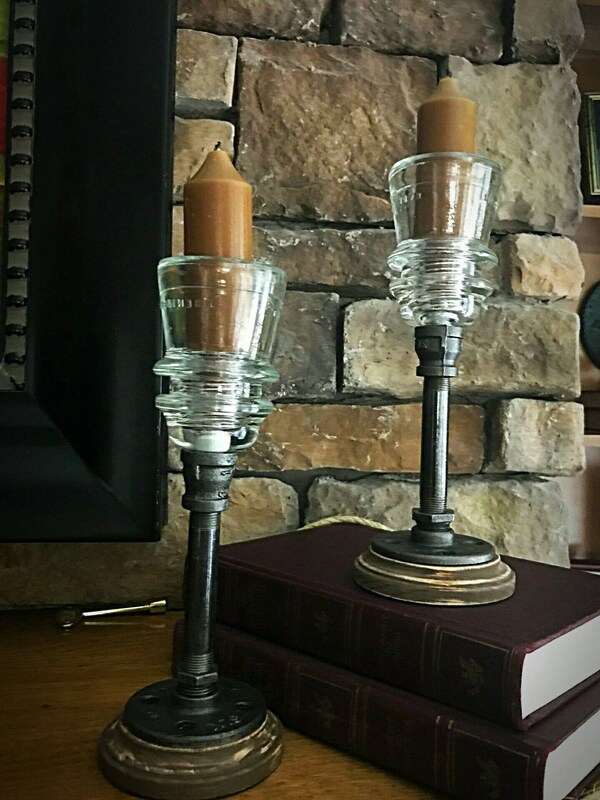 Own a real piece of history with beautiful our Glass Insulator Candle Holders.